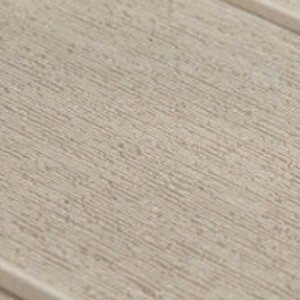 This is a treat for the eye! 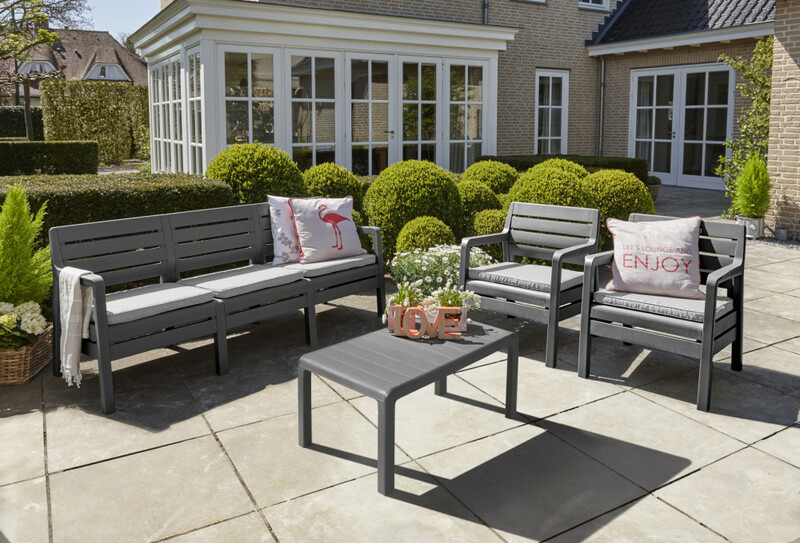 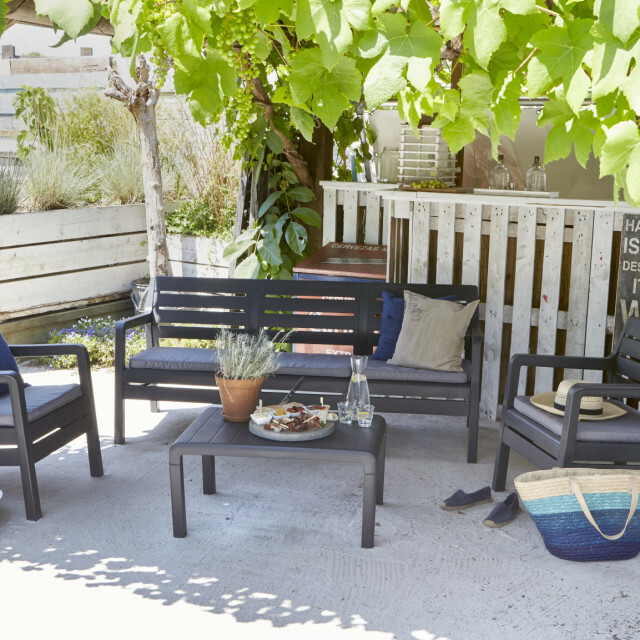 With its open structure and stylish Rezolith look, the Delano lounge set fits in every garden, big or small. 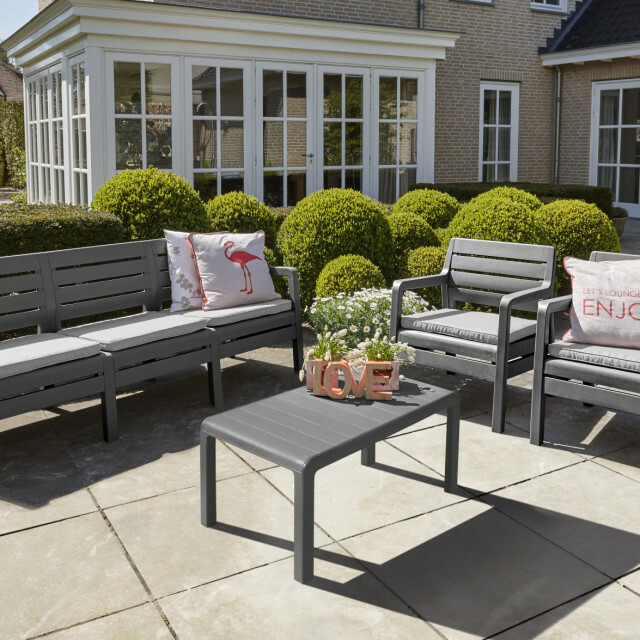 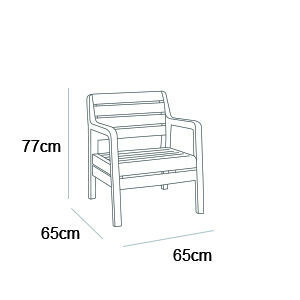 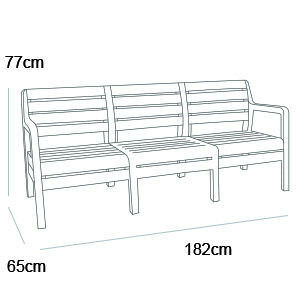 With the included cushions and ergonomic back and armrests you will be sitting outside with pleasure for years. 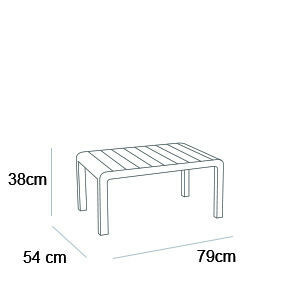 The table is large enough for fresh fruit cocktails and refreshing drinks. 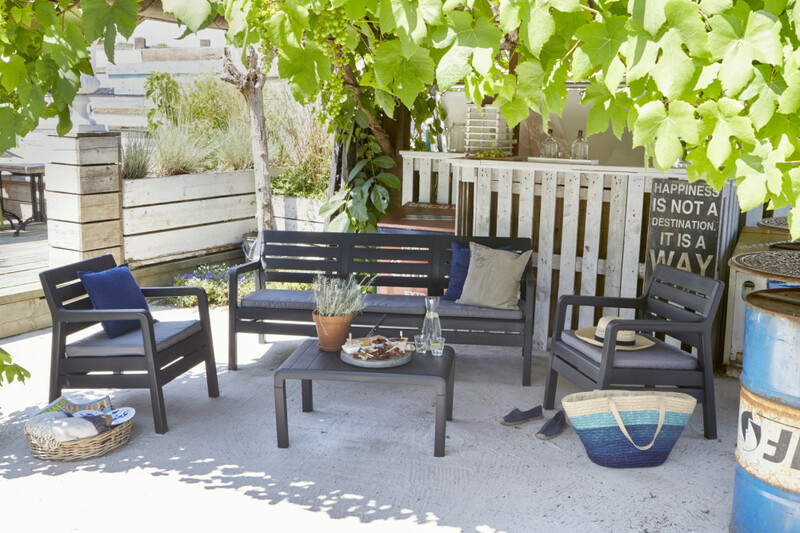 The weatherproof material is maintenance free, so celebrate the summer!